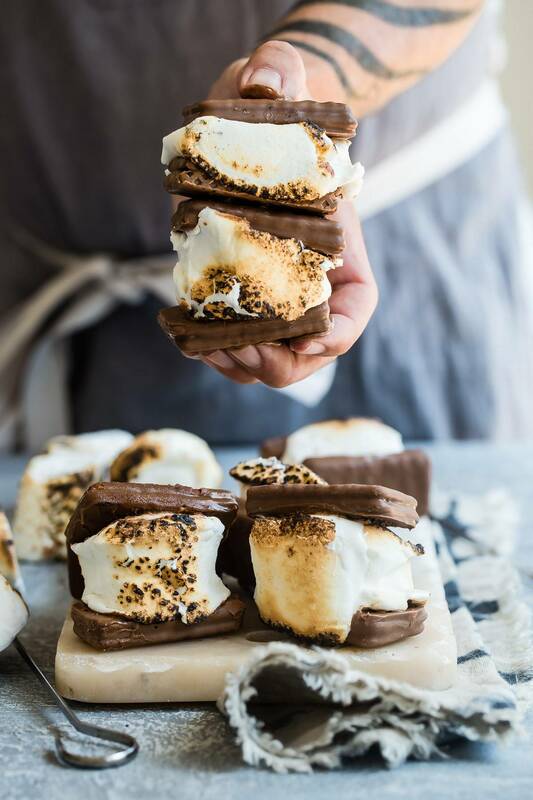 Step up your s’mores game with this Tim Tam® biscuit version. Gooey toasted marshmallow meets chocolaty heaven! I used to think s’mores were a fall or winter treat to eat, but not anymore. 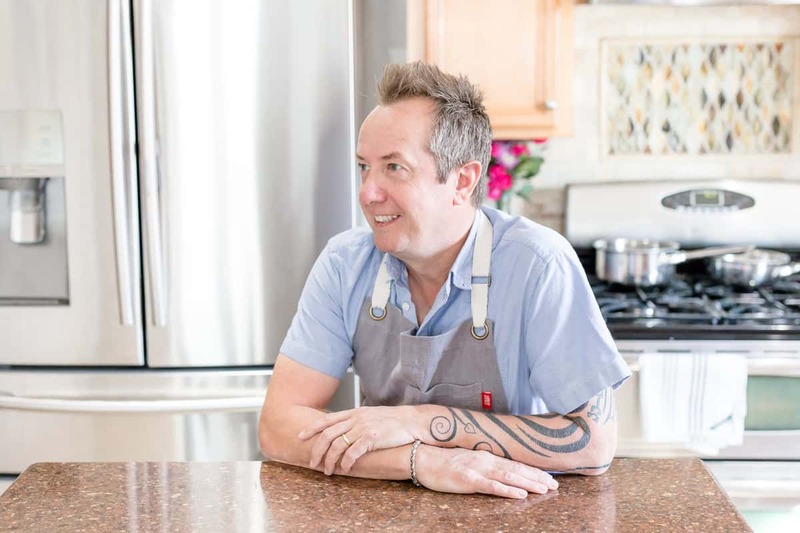 If you have the essential ingredients you can have them anytime and because they’re super easy to put together, the kids (my kids) will ask for them constantly throughout the summer! But these s’mores are unique! They’re s’mores plus 10, I like to call them the more s’mores because they really do have more. Instead of just a regular graham cracker to hold the s’mores together, I’m using these awesome chocolaty Tim Tam® biscuits! Tim Tam® biscuits are already covered in a thick chocolaty coating so no need to add any extra chocolate. 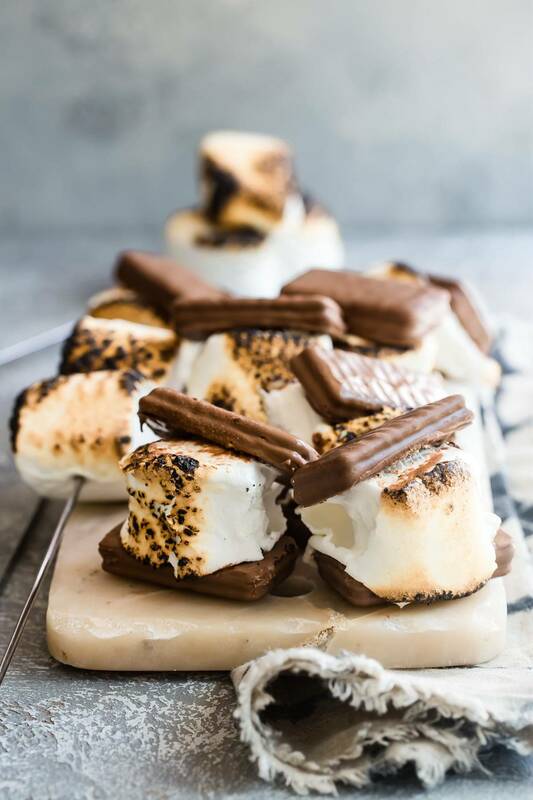 The heat from the toasted marshmallows literally slowly melt the Tim Tam® biscuits creating the ultimate gooey s’mores treat, and the cream inside each Tim Tam® biscuit just makes you want to go for a second or third, which I may have done on occasion! Tim Tam® biscuits are an Australian treat but you can find them here in the U.S. now, they come in four amazing flavors- Original, Classic Dark, Dark Mint, and Chewy Caramel, which was my first choice for my s’mores! Although I know for sure that any of the flavors would be amazing as a s’more. I can’t wait to try the mint! 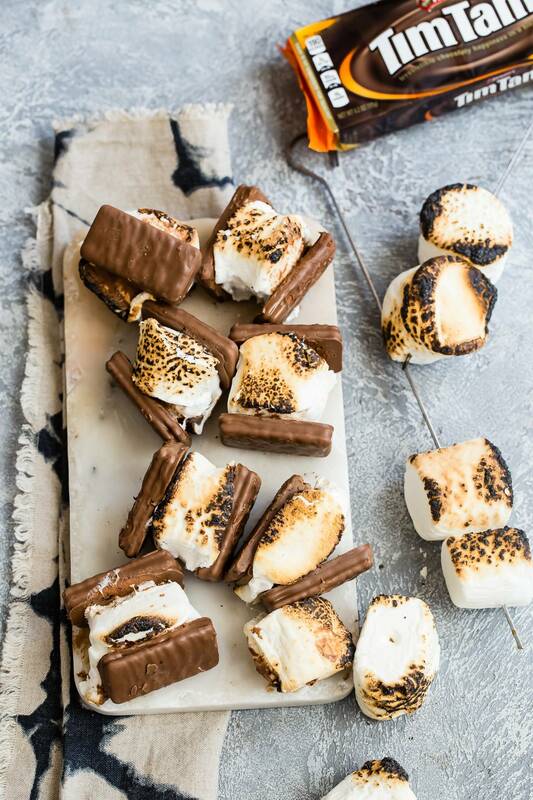 Whether you’re camping for real in the wild outdoors or just hanging out with the family around the fire pit, making s’mores is the perfect way to get together and just relax, talk about the day and get messy! The getting messy part is easy so expect major finger licking to be done! 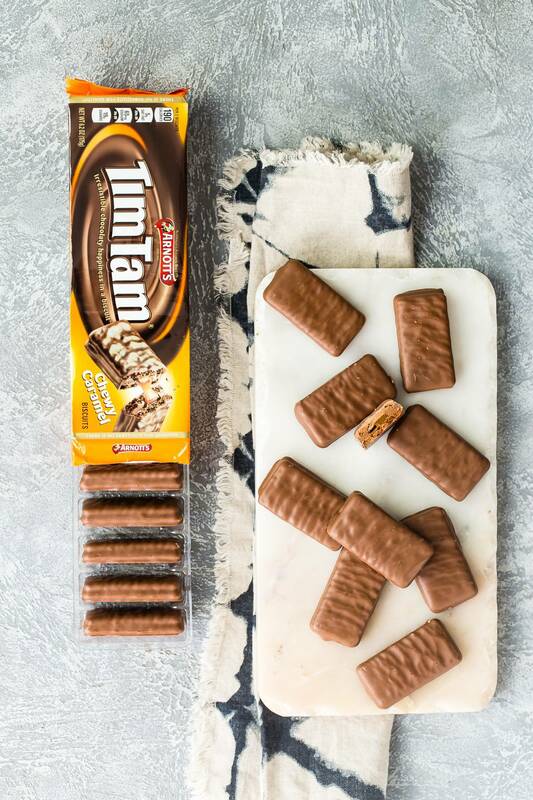 You can find where to buy your Tim Tam® biscuits using this easy locator and check out @TimTam_US on Instagram for some more awesome and creative ways to enjoy this cream Australian biscuit! Don’t forget to follow me on my social media channels, Facebook, Pinterest and Instagram to keep up with all of my latest posts! Using a metal skewer place a marshmallow on the end and slowly roast over a flame until toasted and soft. Place the melted marshmallow between two Tim Tam® biscuits and gently squeeze. OH MY GOSH! I need these in my life ASAP! 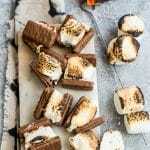 Move over boring, ordinary s’mores! These are the BEST!!! Why did I never think to do this? Can’t wait for our next campfire!